Detectives have begun a Facebook campaign in a bid to catch the killer of Jo Yeates. Her body was found on Christmas Day, in Longwood Lane, Failand, eight days after she was reported missing from her home in Clifton, Bristol. Police said Facebook was more effective than posters and leaflet drops as it has the potential to reach more people. Meanwhile, Miss Yeates’ mother, Teresa, has spoken of how quiet life is without her daughter’s “joy and vibrancy”. Detectives investigating the murder of the 25-year-old landscape architect have said there was no evidence she was sexually assaulted, but they have not ruled out a sexual motive. The force has appealed for sightings of a 4×4 seen near to where her body was found. Her landlord, Chris Jefferies, 65, who was arrested on suspicion of her murder, is free on bail. The Facebook campaign involves an advert that will allow people to contact the incident room via the social networking site rather than calling in. It appears randomly, as with all adverts on the site, but is set to target users across the UK. People who click on the advert will be taken through to the force website where there is a contact form to provide the police with information. Det Ch Insp Phil Jones, of Avon and Somerset Police, said he hoped it would encourage more people to come forward. “The majority of people these days are spending time on Facebook and other social networking sites; this has become part of everyday routine for many people,” he said. “This advert allows us to point people to special features on our website with all the latest information, it allows them to contact the incident room direct online rather than calling in. He said police had successfully used Facebook in a number of high-profile cases because information could be shared more widely than by poster. Scott Fulton, head of e-services at the force, said: “On this inquiry alone we have had shares of the story from the force’s Facebook page of 24,220. “Additionally there have been over 63,000 views of the news updates on our website, a further 18,000 on the dedicated Jo page and over 70,000 views of the CCTV clips on our YouTube channel. Speaking about life without her daughter, Mrs Yeates, who lives in Ampfield, Hampshire, said: “It is just so quiet here without her. “She just had this joy and vibrancy, even though she didn’t live here. Crime scene investigators are continuing to examine Miss Yeates’ flat in Canynge Road. There was a sign outside the building saying “Do not enter, dangerous chemicals”. A number of uniformed officers were also seen entering Mr Jefferies’ flat. 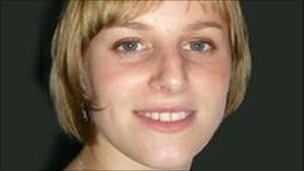 Miss Yeates was last seen at about 2000 GMT on 17 December after she had been drinking with colleagues in the Bristol Ram pub in Park Street in the city. She visited three shops on the way home and was filmed on CCTV. She bought a pizza in one of the stores – the receipt was discovered in her flat but no evidence of the pizza or the packaging has been found. The 65-year-old landlord of the Bristol flat where landscape architect Jo Yeates lived has been arrested on suspicion of her murder.Police said the man, understood to be retired teacher Chris Jefferies, was arrested at the flat in Canynge Road above the one rented by Miss Yeates. Her body was discovered on Christmas Day, eight days after she disappeared. The 25-year-old had been strangled.